For the final part of our Easter holiday, we went to my aunt and uncle's house for dinner. We had a very yummy dinner and had a great time spending time with the family. 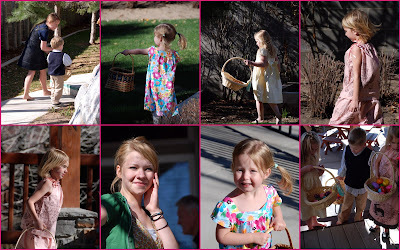 Cass did a a fun Easter egg hunt. 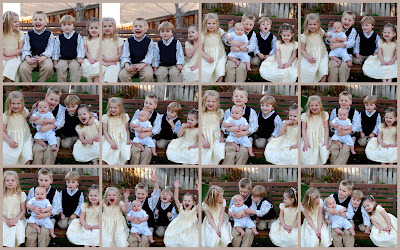 Before we headed home, we tried to get some pictures of the kids. That was easier said than done. 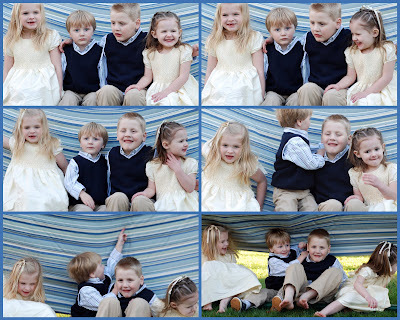 They made faces, played with their faces and fell out of the hammock. But it was fun just trying. As part of our Easter celebration, Uncle shared with us some Celtic symbolism of Easter. During his discussion about it, he said that the Celts see a bunny on the full moon, not a man. So my question for you is, do you see a man or a bunny?